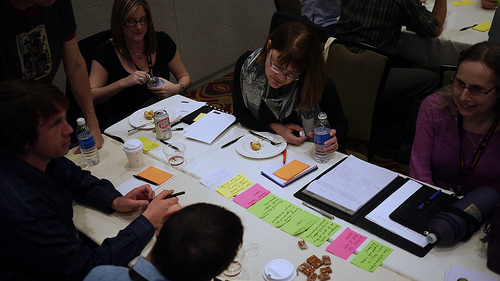 Bring your sketchpads and join other UX professionals for socializing and networking while working in groups to turn user research into designs. We’ll be going through some mock user research to design a theoretical social network app. Less instructional, and more hands-on, you’ll work in groups with professionals of various UX disciplines to create your sketches and mockups, which you’ll then get to compare and contrast with the other groups. It’s sure to be a night of fun and practical experience as we work through this challenging design exercise!